After reading Helen Marshall’s new book Hair Side, Flesh Side and seeing her interest in the role of memory and the body, I wanted to inquire further about her writing process and get some insights on the interplay between texts, memory, and the body since this is something that has been of interest to me in my own academic work. This incredible interview grew out of that inquiry and I hope that all of you enjoy Helen Marshall’s insights as much as I did. I will let Helen Marshall introduce herself below. This might seem like painstaking and ridiculous work to many of you, but I find it genuinely exciting. I love the feeling of reclaiming some piece of the past that was otherwise lost. Even if it is only the barest trace of human presence in an object that seems otherwise opaque and indecipherable. Spec Can: What role does the macabre have in modern Canadian fiction? Helen Marshall: When you say “role” it seems to imply that the macabre is accomplishing something specific… if it is, I’m not sure what exactly that might be. I think the macabre in Canadian fiction accomplishes what the macabre accomplishes in all fiction: it gives us a sense of our own mortality, of the body as something that will inevitably die. It reacquaints us with fear, and at the same time it enlivens us. Does Canada have its own unique brand of the macabre? Most definitely. Canadian literature has been traditionally considered to have a strong vein of realism to it, but the macabre, the Weird—the kind of books that ChiZine Publications has championed–are doing something to open that up. That’s good. I don’t believe in straitjacketing literature. Spec Can: Where do you see “weird fiction” going from here? Helen Marshall: Jeff VanderMeer recently wrote a wonderful article on how “weird fiction” is moving past H. P. Lovecraft (available here). That’s a good thing: not because Lovecraft doesn’t deserve to be studied and reread, but because he himself has become something of a straitjacket. He has created a pattern or a template that is, perhaps, a little too easy to follow right now, and so perhaps it is time for something new. China Mieville’s success (and those who have followed him) ultimately convinced publishers that there was a market for strange, dark fiction. It gave them someone to point to in the same way that Stephen King did for the horror genre many moons ago. But what I find I love about “weird fiction” is the utter delight its authors take in surprising the reader, giving us something we haven’t seen before, taking risks in both form and content. It’s a great genre precisely because it isn’t really a genre: it isn’t codified, it doesn’t have rules. It means you can have some real fun with it. Spec Can: What is it like to shift back and forth between author and editor? How do you manage both your life as an academic and as a fiction author? How do they support each other or conflict with each other (or both)? Helen Marshall: I feel like my work as an editor, an academic, and as an author all feed into one another. 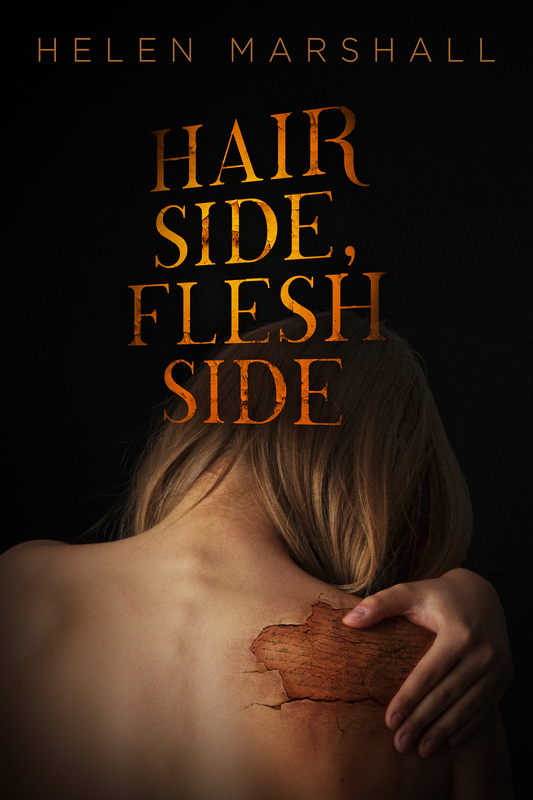 The process of writing Hair Side, Flesh Side was the process of trying to explain to myself how that might work. Both the role of the editor and the academic are about finding some piece of truth in another person’s writing, and then uncovering it and helping it into the light. A good academic makes writing come alive. A good editor does exactly the same. An author, though – an author has to find a way to shut up all those bits that are outwardly focused, at least for a moment. It’s still a process of uncovering. But it’s about bringing to light something that you feel deeply, and in the end the thing you are revealing is yourself. That’s scarier in many ways, and more exhilarating. But working as an editor and an academic has given me a depth and shape to that process. Spec Can: As someone who studies the past and someone whose fiction work often involves concepts of memory, what role does the past play in your fiction writing? What is the importance of memory? How do memories haunt people? Helen Marshall: The past and memory are interlinked for me. To some extent, Hair Side, Flesh Side comes out of the fact that when I was in high school my dad suffered a serious brain injury that played havoc with his memory. Around that time, I was developing an interest in the medieval. Looking back, it’s probably no surprise that those two things are related. The study of the past is a way of recovering memories, I think, of rediscovering things that have been forgotten, lives that have been lived. And art, or writing anyway, is really a way of making ourselves live longer and speak louder than we might otherwise. Canada has always seemed to me to be a place struggling with memory. Both of my parents emigrated to Canada just before I was born, my mom from South Africa and my dad from England via Zimbabwe. I didn’t feel a strong connection to Canadian history. I grew up reading books about European history, reading children’s literature that was grounded in mythologies that seemed very distant. Stories were things that happened in other places. As a medievalist in Canada, I find I always have to explain why I do what I do. When I go to England, they get it. Because it’s a part of their history and it matters to them. I’ve learned to live with that dissonance. Spec Can: What role does the body play in horror? Why is the body so important? Helen Marshall: I suppose, at its most basic level, the body is where horror happens. We desperately want a control over our bodies we don’t have. That scares me. That scares me a lot. There’s something terribly frightening about the idea that the thing that seems to be most me is something I can’t control. discovers that her skin has become a text and she becomes hollowed out inside. As an editor, do you ever feel like you have been hollowed out by other authors’ work? How does this story speak to you? Helen Marshall: The obvious answer is, yes, absolutely. Sanditon, and a rather large chunk of Hair Side, Flesh Side, came out of a four-month period of study abroad I did in Oxford. It was amazing to spend weeks at a time in the Bodleian with really old books, but it was also fantastically lonely. That loneliness was what gave me the chance to write, but it is a strange feeling to realize that you are devoting your life to the study of authors who have been dead for six hundred years while you yourself are still alive. Sanditon came out of that. It was about me trying to figure out what it meant to be a writer. But it isn’t just about the way that the work of dead authors can hollow you out: it’s also about the rather crushing and self-destructive relationship between Hanna and Gavin. There are a helluva lot of ways to get hollowed out by another person and they don’t all have to do with writing. Spec Can: Two of the short stories in Hair Side, Flesh Side feature skin as a text. What is the significance of skin for you? What do you feel is the social significance of skin for our society overall? How can the body be a text? Helen Marshall: Medieval manuscripts were written on the skins of animals that had been stretched on a frame, scraped, and rubbed with pumice and chalk until they were smooth. So when you look at the page of a medieval manuscript, you still see it as a piece of skin: it has a hair side (the part of the skin facing outside the beast) and a flesh side (the part facing the muscle and organs). They have a different texture. You can even see the hair follicles. So here’s a time when writing was closely linked to the death of an animal. I think it’s a gorgeously powerful metaphor for writing, but it’s also a metaphor grounded in horror, as was made clear to me when I went to a talk by Bruce Holsinger that later inspired “Skin”. I love the contradiction: Writing as a means to immortality comes at the cost of genuine sacrifice. Spec Can: Your work reads like a surreal dream. What is the role of dreaming in your stories and for story formation overall? 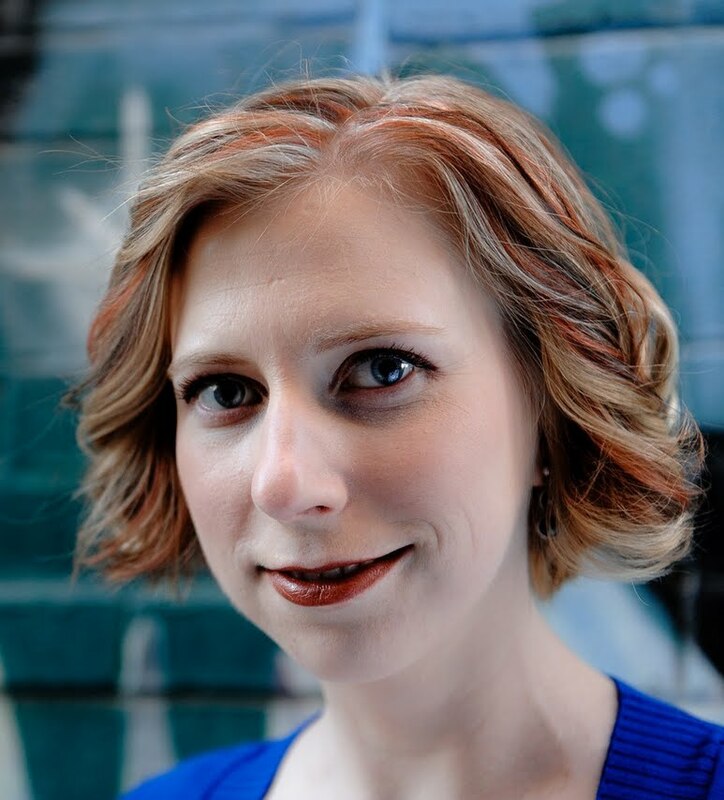 Helen Marshall: I attended the Clarion West Writing Workshop over the summer, and Kelly Link said something that really stuck with me: there’s daytime logic and there’s nighttime logic. Daytime logic is automatically familiar to us. We know its rules. But nighttime logic has a power of its own. It may be associative and subconscious, but it still has a certain truth to it. Surreal or absurdist writing can sometimes come out feeling very cold because we can’t see ourselves in it. We know, at a gut level, that it is not our world and so the consequences don’t feel real. What I try to do is find a bizarre premise and use it as a way into something that is deeply emotional: every new oddity ought to feel like a natural extension of the rules of the world. It feels like it fits. For me, the process of writing strange fiction is falling into a world where each new revelation comes with a shock—but also with a sense of recognition. Spec Can: In your short story No ghosts in London, the main character escapes to the city to avoid ghosts. What is the role of the urban environment as a place of escape and forgetting? Helen Marshall: I spend a lot of my time traveling. When I stay in the same city for more than a couple of months, I start to get edgy. Travel to new cities opens up in my eyes to the world around me again after I’ve got a little too comfortable. But at the same time the city is a place where it is easy to disappear. Or to reinvent yourself. It seems to give you the promise of a blank slate. But the problem, of course, is that everywhere you go, you carry yourself with you. When you wipe the slate clean, you’ll always find a point where bits of your old self start to bleed through again. Spec Can: Ghosts often feature as figures of memory or reminders of the past in your work. Where did this idea come from? What inspired you to view ghosts as figures haunting us from the past? Helen Marshall: Ghosts scare the Hell out of me. Really. I tried to watch the Japanese movie Juon a couple of months ago and it terrified me so badly that I burst into tears four minutes from the end and demanded that we shut the movie off. Even though I knew I would feel better if I saw those final four minutes and got some closure to the story, I just couldn’t bring myself to do it. For me ghosts are terrifying because they are us. What I see when I look at a ghost is myself. And so if the ghost is really just an image of your own future—that is, you when you are dead, the you that you can’t comprehend or imagine—then in some way you are also the ghost of your own future self. We leave things behind, and mostly those things are former versions of ourselves. It seems natural, then, that ghosts are also a figure for something that wants to be remembered, even if we want desperately to forget it. Spec Can: Several of your stories involve Jane Austen in some way. In what way does Austen speak to you? Inspire you? Helen Marshall: I think there’s something intrinsically funny about Jane Austen. And sweet. And sad. Spec Can: What can Weird Fiction do for readers that realist fiction is not able to do? How can it inspire or challenge readers? Helen Marshall: Weird fiction, at its best, unsettles us. Realist fiction can also do that, but that isn’t necessarily its goal. I love the idea of a kind of writing designed deliberately to shock, to surprise, to unbalance and unnerve. It has a kind of intensity to it, and it makes us consider ourselves from oblique angles rather than head-on. Spec Can: What questions do you hope that your work evokes for your readers? Helen Marshall: All the questions above are a pretty good start! I hope my readers think about my work. But I also hope they just experience it and see what comes to them. The thing is, it’s terribly difficult to predict what’s going to resonate with a reader, what’s going to work for them, what’s going to touch them. The biggest thing I fear I have to fight against with my academic background is demanding that the reader bring a toolbox with them when they come to my writing. Whatever happens when they read happens. It ought to have a little magic to it. A little spontaneity. Since Helen has mentioned ChiZine a few times in this interview, you can check out their website at http://chizinepub.com/ and perhaps find some additional exciting and interesting fiction. You can check out some of my reviews of ChiZine books by clicking on ChiZine in the Tags section of my website. This entry was posted in Interviews and tagged body, Canadian history, ChiZine, haunting, Helen Marshall, interviews, Medieval Studies, memory, travel, urban, Weird Fiction. Wow! Derek you really managed to peel back the skin and get at the meat of her stories, so to speak. Great interview! Brilliant puns! I am glad that you enjoyed the interview. Helen was a pleasure to talk to and I really enjoyed her insights. I am so jealous of all of the ancient manuscripts that she has been able to read! !